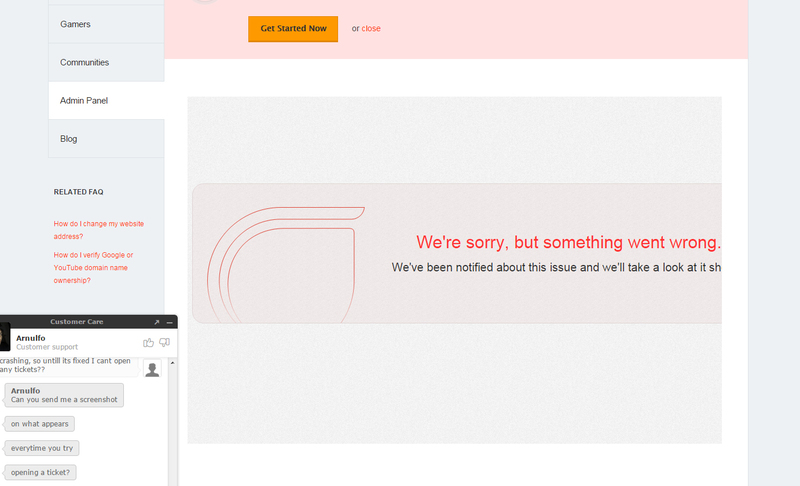 Trying to open a support ticket but it keeps crashing when hitting "Submit"
Here is a screen shot of the issue. As you can see Arnulfo was helping at the time but found no workaround after trying many different browsers and even a restart. The issue still remained. I just got this error message each time. Sorry for the spam in tickets also, but from here it didn't look like they were getting through.